In the digital age, basically everyone is a writer of some description – whether it’s social media content, company blogs, business proposals or something a little more traditional like news stories or screenplays. Businesses and individuals of all kinds are writing more content than ever. The biggest challenge for today’s writers is getting everything done in the most productive way. Demands are high and deadlines are short in the modern age, which means there’s no space for unwanted distractions getting in the way of your workflow. In this article, we’re looking at the 10 best distraction-free writing apps that will help you produce a higher volume without compromising on quality. First, we’re going to introduce the best distraction-free writing apps with a quick overview of what they have to offer. Then, we’re going to focus the rest of this article on helping you choose the right app(s) for you, based on their strengths and weaknesses. One thing I’ll make clear now is that there are two general types of writing apps here. First, you have WYSIWYG (what you see is what you get) word processors, which are similar to Microsoft Word and Google Docs, where you can highlight text and change formatting by selecting buttons or using keyboard shortcuts – all of which is visible within the document. 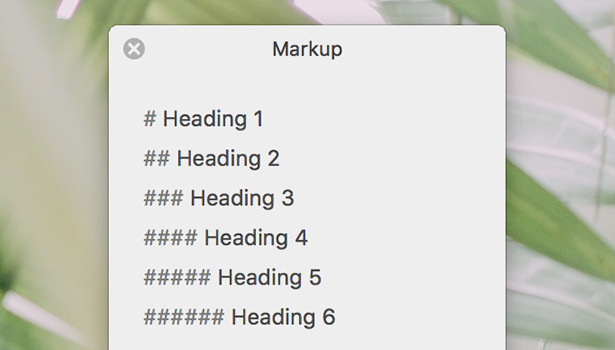 Then you have markdown editors, where you pretty much do everything from the keyboard – placing hashtags in front of headings and asterisks in front of bullet point items. These markdown editors tend to be the more distraction-free writing experiences but that’s an oversimplification – and you’ll see what I mean once you’ve looked at the following apps. 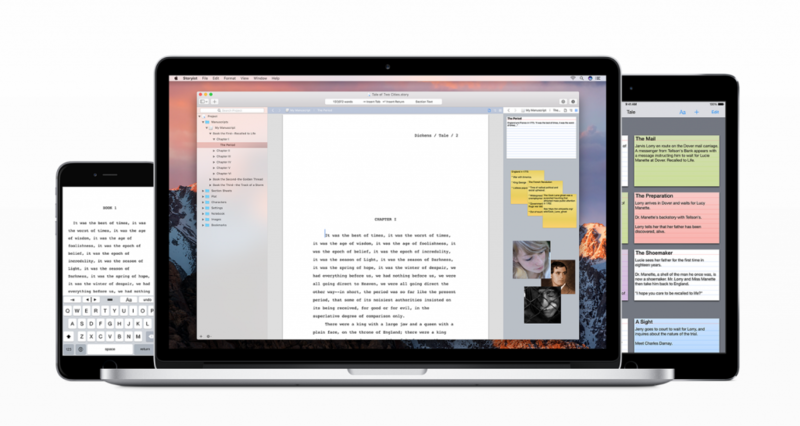 Here are the 10 distraction-free writing apps you need to know about. Ulysses is a powerful writing app for Mac and iOS that allows you to write content without ever taking your fingers away from the keyboard. Its markdown-based text editor means you’re no longer clicking settings with the mouse; instead, you’ll style things like headings by placing hashtags in-front of your text. In terms of removing distractions, Ulysses packs a number of features to help you focus on the task at hand. Distraction-free interface: Feels like you’re writing on a clean sheet of paper without any of the usual distractions found with word processors. Markdown-based writing: Ulysses’ text-only editor means you can write and style your content without lifting your fingers away from the keyboard. Keyboard navigation: Navigate the Ulysses dashboard from the keyboard. Typewriter mode: Only shows the line you’re currently working on to remove all possible distractions. Publishing: Publish to WordPress and Medium from within the Ulysses app or schedule them at the push of a button. 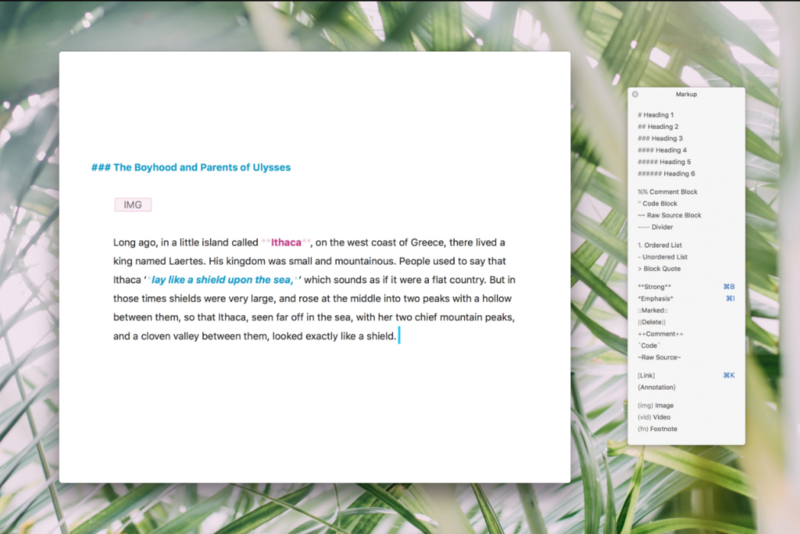 Despite all the emphasis on simplicity, Ulysses allows you to create rich documents with images, links, footnotes, blockquotes and everything else you would expect from a word processor. While there’s also a live preview feature to show you what your output is going to look like and built-in export styles for you choose from. As the name suggests, Storyist is designed for writers who need to tell a story. Aside from providing a distraction-free writing experience, the app makes it easy to pen out your plot, characters, settings and everything else you need to convey in your story. While the app is designed for screenwriters, novelists and creative storytellers, Storyist’s features are just as important for today’s content marketers and journalists who need to craft stories around their publishing objectives. Minimal interface: Not as distraction-free as Ulysses but a minimal interface that keeps your focus on what you’re writing. WYSIWYG: With Storyist, you’ll be setting fonts, highlighting text and clicking buttons to style it – more like Microsoft Word than Ulysses. Outliner: A tool for outlining your plot, objectives, quotes and other core elements to keep your writing on track at all times. Story development tools: Put images to character names or places to give you a visual cue for descriptive writing. Word count tracking: Tracks daily and project word count goals to help you stay on track – especially useful for longer pirces/projects. This app is clearly designed with screenwriters in mind and storytelling writers are going to get the best out of it. If you’re strictly inot bloggin or article writing, then there are probably better choices for you in this article but don’t forget the importance of storytelling in marketing content such as videos and webinars. iA Writer is another markdown text editor, which allows it ditch all of those buttons and setting for a truly distraction-free interface. Much like Ulysses, you can create documents without your fingers leaving the keyboard. Distraction-free interface: iA Writer’s interface is one of the most distraction-free editors you’ll come across. Markdown-based writing: Create documents entirely from keyboard commands. Typewriter mode: Fades everything except the sentence or paragraph yuo’re currently typing to boost your focus. Cross-platform: Use iA Writer across Windows, Mac, iOS and Android devices. 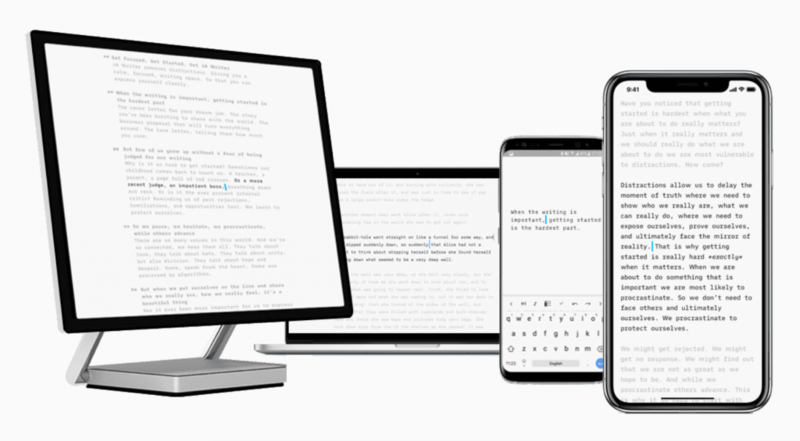 This cross-platform functionality is great if you want to use a distraction-free writing app across different devices types and operating systems, especially if you’re jumping between Windows and iOS or Mac and Android. That said, if you’re an Apple loyalist, Ulysses still offers the slightly better set of features – namely its publishing and file management system. Hemingway is different from the other writing apps we’re looking at in this article. Aside from providing a distraction-free writing experience, Hemingway aims to make you a better writer by highlighting sentences and paragraphs that are too long, as well as any use of adverbs and the passive voice – three of the most common and serious writing mistakes used by untrained writers. You can download the Hemingway app for Mac and Windows or use the online app for free. Distraction-free writing: Despite the intelligent technology powering Hemingway, it still serves as a great distraction-free writing tool. WIZYWIG: Hemingway is still a WIZYWIG editor but this is implemented in a far more simplistic way than apps like Microsoft Word. Improve your writing: Hemingway scores the readability of your writing and highlights areas that can be improved to help you become a better writer. Free online app: Use Hemingway on any device with an internet connecting by simply typing its URL into your brwoser. Hemingway is designed to make you a better writer and it also happens to be one of the best distraction-free tools out there. Not to mention the fact you can use the online app for free with the only downside being you can’t save your work (although you can copy and paste into another app or download the full Hemingway app for Windows or Mac). Byword is an incredibly simple markdown text editor for Mac and iOS. If you’re after the minimalist approach, this is about as distraction-free as it gets and everything you create is fully synced between your Mac and iOS devices. You can also publish directly to Medium, WordPress, Blogger, Tumbler and Evernote from within the app. Distraction-free interface: Super-minimal interface and with a truly distraction-free experience. Markdown writing: Format and style your text as you type. Sync: All your documents are synced with iCloud and Dropbox so you can access and edit them from all of your Mac and iOS devices. Publishing: Publish directly to Medium, WordPress, Blogger, Tumblr and Evernote. If you’re strictly an Apple user and you’re looking for the truly distraction-free writing experience, Byword is one of the best options available. Grammarly isn’t actually a distraction-free writing app; it’s an intelligent spelling and grammar checker that does a pretty good job of spotting basic writing errors – far better than you’ll be used to with spell checkers in apps like Microsoft Word. 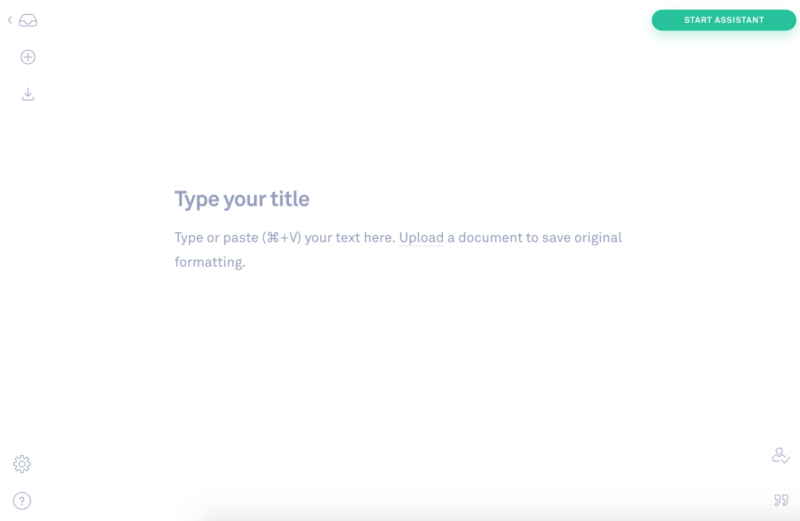 What many Grammarly users don’t know is that you can also use it for writing with its ultra-simple document app. You can’t style or format text with the editor – all you can do is type out your title and then just write. That certainly counts as distraction-free writing in my book. Grammar & spelling checker: Genuinely useful grammar and spelling checker that works in real-time or after you’ve finished writing if you prefer. Distraction-free writing: Grammarly’s document app basically has no features at all but it’s definitely a minimal, distraction-free experience. Chrome extension: You can use Grammarly to check your writing as you type online with the Chrome extension. Grammarly isn’t a word processor or text editor in anyway at all – so don’t expect those kind of features. It’s document app is more like an online notepad without any settings or features to get distracted with. Evernote’s document app is far more sophisticated than Grammarly – almost to the point where it can replace a fully-featured word processor like Microsoft Word with something far more minimal. You also get all of the other Evernote features as part of the package: cloud storage, file sharing, web clipper, notes and a whole bunch of things to help you create content. Minimal writing app: Maybe not quite distraction-free writing but far more minimal than typical word processors with all of the same features and more. WYSIWYG: Style your document and see your changes as you make them. Cross-platform: Apps for Windows, Mac, iOS, Android and a web app mean you can use Evernote everywhere you need to. Evernote’s document writer isn’t exactly topping the list of its features but if you’re looking for a balance between distraction-free writing and all the functionality of a word processor (and then some), this is a strong option. Medium is one of the most popular publishing and content discovery platforms around these days. Its online story interface is as minimal as any distraction-free writing and you only have basic formatting options for titles, links, quotes and basic styles (bold and italic). Of course, the main attraction of Medium is its user base, who are constantly looking for great content to engage with, making this a powerful social/content marketing tool in its own right. Distraction-free writing: Very minimal writing experience with basic formatting options. WYSIWYG: Medium’s story interface doesn’t give you a lot of formatting options but they are WYSIWYG so you can easily see what you’re going. Cross-platform: The web app nature of Medium means you can pretty much access it from any device with an internet connection. Publishing: The added bonus of using Medium as a content publishing and discovery tool. Medium’s interface provides a great distraction-free writing experience and this is precisely why it has made onto our list. This, plus the fact it’s essentially a cross-platform option thanks to its web app. The only real downside is you’re limited to publishing to Medium or copy and pasting into another app if you want to publish elsewhere. Dealbreaker? Well, that’s entirely up to you and it costs nothing to try it out. Typora is another free option that’s technically a markdown editor but it’s worked the whole WYSIWYG experience into things. So you type your hashtags for headings, asterisks for bullet points, etc. and Typora shows you what it’s all going to look like in its interface – all in real-time. It’s a fully-featured markdown editor, too, which means you can import images by typing file paths, create tables and diagrams, do mathematics and pull off all sorts of magic – all from your keyboard and see the visual results, thanks to that WYSIWYG implementation. Distraction-free interface: Typora is nothing more than a text editor (like Notepad++) until you start typing – it doesn’t get more distraction-free than this. Markdown writing: Format your text, import images and do everything from the keyboard. WYSIWYG: Typora is very much a markdown editor but it implements that WYSIWYG experience to give you a better visual idea of what your documents look like in rendered HTML. Okay, so I’m really pushing it here by trying to call Google Docs a distraction-free writing app but it’s certainly a more minimal experience than Microsoft Word or similar word processors. That’s not why I’m recommending it, though. The reason Google Docs makes it onto this list is because it’s one of the best writing apps for teams that want to collaborate and it still offers a fairly minimal writing experience, despite all of the features packed into the platform. 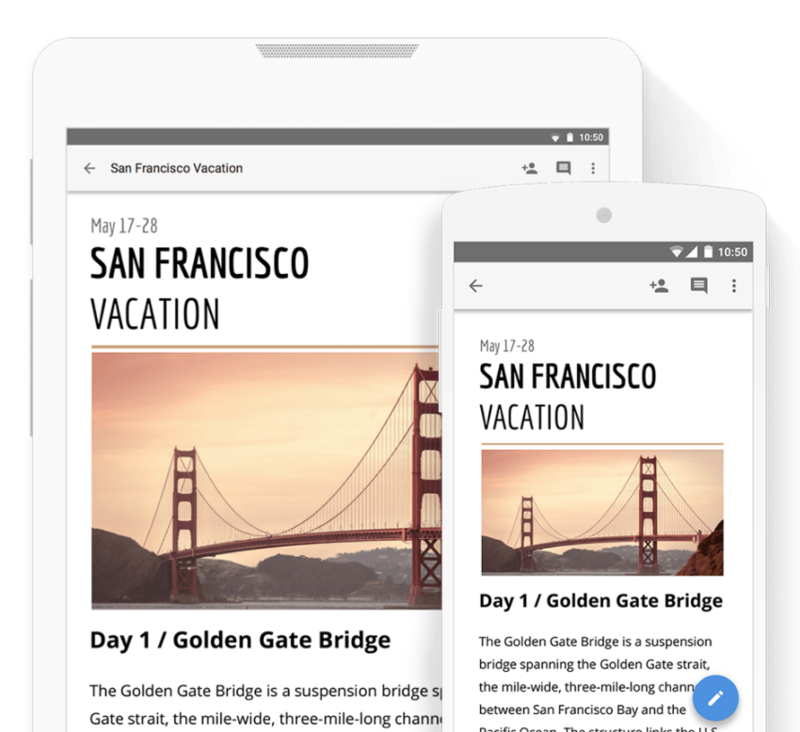 Aside from its collaborative prowess, Google Docs is a truly cross-platform application with apps for just about every OS out there. While the writing app itself isn’t as distraction-free as the other options in this article, you can create, save, edit and share your documents from anywhere and collaborate remotely. In this sense, the file creation, management and editing processes are where Google Docs kills distractions most effectively. WYSIWYG: Think a stripped down version of Microsoft Word with all of the same functionality and more. Cross-platform: Google Docs kills it in this regard. Collaboration: Teams can collaborate on the same documents in the same location or remotely anywhere – all in real-time. If you’re looking for a truly distraction-free writing experience, Google Docs isn’t going to top your list. In terms of a collaborative tools that accessible from anywhere, on any device, though – this is the one. Which is the distraction-free writing app for you? It all comes down to what need from a writing app, which platforms you need to use and how important the distraction-free experience is over other features. Platform availability: First, you need an app that’s supported on all the devices you need to use it on, whether you’re a Windows, Mac, iPhone or Android user. Cross-platformability: How good is the app for using across all of your devices and platforms so you can start work on one machine, finish on another and collaborate with others as you go? Writing features: All of these apps offer a different range of writing features – so which are the ones you really need? Cost & Value: There’s always a budget to work with and you want to know you’re getting the best value for your money. Usability: There’s nothing more distracting than an app that’s difficult to use and this defeats the whole point of what we’re trying to do here. So let’s take at the most usable of the apps mentioned in this list. Once we’re done with this lot, you should be ready to choose the writing app for you with confidence. It doesn’t matter how good a writing app is if it’s not available on the platforms you need it on. So, let’s start by comparing the platforms each of these tools are available on. While Grammarly and Medium both have mobile apps available, they don’t contribute to the distraction-free experience we’re focusing on in this article, which is why we’ve marked those cells with asterisks. The funny thing is, the top two in this category aren’t even distraction-free writing apps in themselves but they nail it when it comes to cross-platformability. If this is important to you, then these are the top three choices for you. The downside with distraction-free writing apps is you tend to sacrifice a lot of writing features for the sake of simplicity. If you only want to type plain text then a regular text editor will do the trick for you – but this isn’t why you’r reading this article. None of these apps offer the most distraction-free writing experience (although Typora comes close), but you can simply do more with them. What’s amazing is all of these are available for free, despite packing more features into their tools than the other options. Freedom: How distraction-free the writing experience is. Features: What you get in terms of writing, publishing and document management features. Cost: The relative price of each app. We’ve compared the pricing of each tool and converted these into scores out of ten (eg: free = 10/10) and then calculated an overall score based on the mean average. Obviously, price factors heavily in this category and the apps that are available for free have a big advantage in this section. As I said earlier, there’s nothing more distracting than a app that’s difficult to use and all of the tools in this article score well when it comes to usability. This already makes it difficult to select winners in this category and usability is a fairly subjective thing, too. If you’re coming from Microsoft Word, for example, Google Docs is always going to be easier to get used to than a markdown editor which switches the writing process on its head. Evernote: For users who want the distraction-free writing experience with all the features and WYSIWYG you expect from a traditional word processor. Ulysses: For a truly distraction-free writing experience that makes it easy to make the transition from WYSIWYG to markdown writing. Byword: For the most usable, distraction-free writing experience for people comfortable with markdown editors. Whichever of these writing apps you choose to work with, usability won’t be a major issue, though. They’re all great in this regard and the ultimate choice will come down to personal preference and the features you need. Best of all, many of these are free so you can try them out to get a better idea of what you want from a distraction-free writing app. Your readers will never fully know the time and effort that goes into producing all of your content and all that matters to them is the end product. In terms of ROI, this is all that matters to your content marketing strategy, too, and every distraction that holds you back reduces the return you get from your content investment. Finding the tools that to help you hit targets faster are invaluable and among these 10 distraction-free writing apps, I’m sure you’ll find the tool that makes all the difference. All that’s left now is for you to choose the right app for your needs.